The crash of the Russian ruble means it is inevitable that some companies in Russia are going to fail, according to Credit Suisse analyst, Valeriy Pushnia. "We are not seeing any options to get out of geopolitical crisis, nor a clear plan of actions of the authorities ... Defaults are inevitable,” Pushnia has told Bloomberg, according to Russian newspaper Vedomosti. 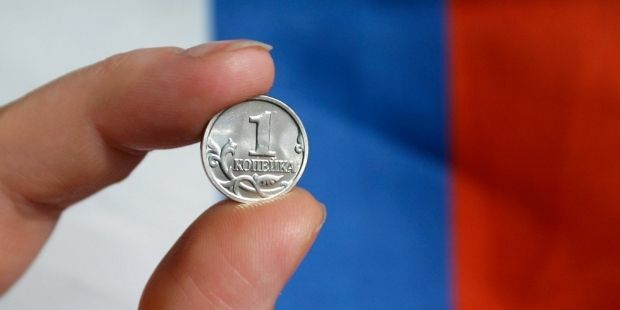 The fundamental value of the ruble is RUR 45-50 to the dollar, but the interventions of the Central Bank have proved powerless to bring down market expectations, Pushnia said. "Fundamentally ruble is fairly estimated at RUR 45-50 to the dollar, [but] after the exchange rate exceeds RUR 50 to the dollar it can go as far as market sentiments push it. Central Bank interventions are useless, because the longer it carries them out, the less leverage it has. " Pushnia said corporate bankruptcies were likely on the backdrop of the current ruble devaluation and declining oil prices. According to him, there is a "clear contradiction" between more than 40% devaluation in the ruble and oil prices, and the lack of bankruptcies, rising unemployment, and macroeconomic statistics in Russia.